The Professor W.R McGregor Reserve is a combination of four adjoining and separately purchased blocks at Katui on the southern border of Waipoua Forest in Northland. It adjoins the forest and other reserve land owned by the Waipoua Forest Trust to the north and is bounded by Marlborough Rd to the south. The first 250ha reserve on Marlborough Rd was purchased in two parcels in 1985 and 1987 and named the Professor W.R. McGregor Memorial Reserve. In 1996 a 51ha block on the main road with a house on it was bought and named the McGregor Centre. Then in 2000 the 42ha piece of land linking these two was bought. Both these latter purchases were virtually fully funded by the Lotteries Commission and the A.S.B. Trust. At the same time the newly formed Waipoua Forest Trust received funding to buy the rest of the farmland in the catchment area. This was the culmination of Stephen King’s grand plan to purchase and restore the triangle of land bounded by SH 12 and Marlborough Rd which forms the upper catchment of the Waipoua River. The reserve is named in honour of Professor W.R. McGregor (1894-1977), whose energetic campaign in the 1940s resulted in an end to logging of the Waipoua kauri forest and to the forest’s dedication as a sanctuary in 1952. 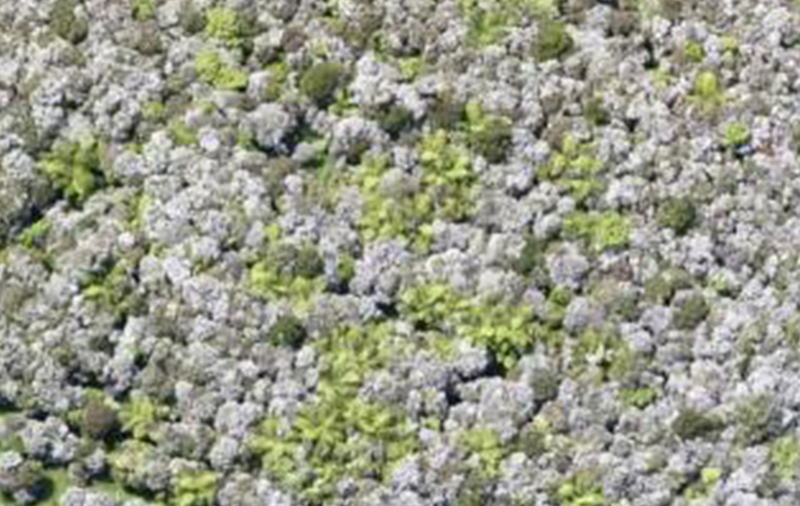 The original farmland has been planted with manuka and recently kauri have been planted among the approximately 4m high manuka. Other parts of the reserve are naturally regenerating bracken, manuka and small shrubs, and there is also some mature forest with kauri, rimu, kawaka, kahikatea and rata. There is also a large hollow kauri which escaped being logged. The most recent block of land has a crop of pine trees to which the previous owner retains cutting rights. The area has a high population of North Island brown kiwi and other birds typical of the area. Kauri snail are present. The reserve is at the gateway to the world-acclaimed Waipoua Kauri Forest and can be seen as you drive down from Katui into the forest. The project to reclaim the upper catchment of the Waipoua River as part of the forest is invaluable to protect the water quality of one of Northland’s most intact river ecosystems. Protection from the invasion of water-borne weeds is also highly desirable. The variety of habitats in the area is ideal for kiwi populations, even the pine trees. Manuka seeding has been a feature project on the reserve. It is an ideal way to convert large areas of pasture land to a basic shrubland under which other species can grow. Volunteers cut and dried manuka from local sources and sieved the seed. As manuka must have bare sunny ground to germinate, the soil had to be prepared by heavy discing. The seed was then broadcast over the area. The seedlings from the first disced areas are now over head height and form an impressive cover with naturally introduced native species appearing. Planting of canopy species in the shelter of the manuka has also taken place. Waipoua is 48 km north of Dargaville, and Katui a few kilometres before that (as you crest the last hill before the forest), distinguished by the Waipoua Lodge restaurant. An impressive view of the McGregor Reserve, the Waipoua Forest Trust land and the main forest can be had from the Lodge.